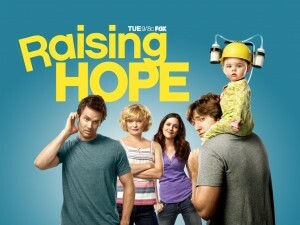 Fox has announced that Raising Hope will end it’s run on April 4th with a one hour finale. This blue collar FOX sitcom starring Lucas Neff, Martha Plimpton, Garrett Dillahunt, and Shannon Woodward will come to an end April 4th with a one hour finale. The show which was created by Greg Garcia had a 4 year run but going into the 4th year things went down hill for the show. Garcia left the series, then the show was moved to Friday evenings which only hurt its ratings. What do you all think about Fox cancelling this comedy? Do you agree or disagree with this decision?